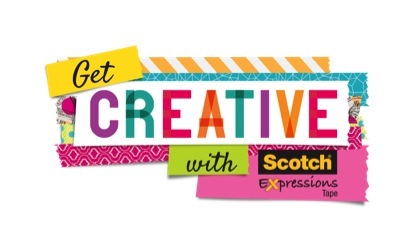 Early this year I did a series of posts on using Scotch® Expressions Tape around the home. 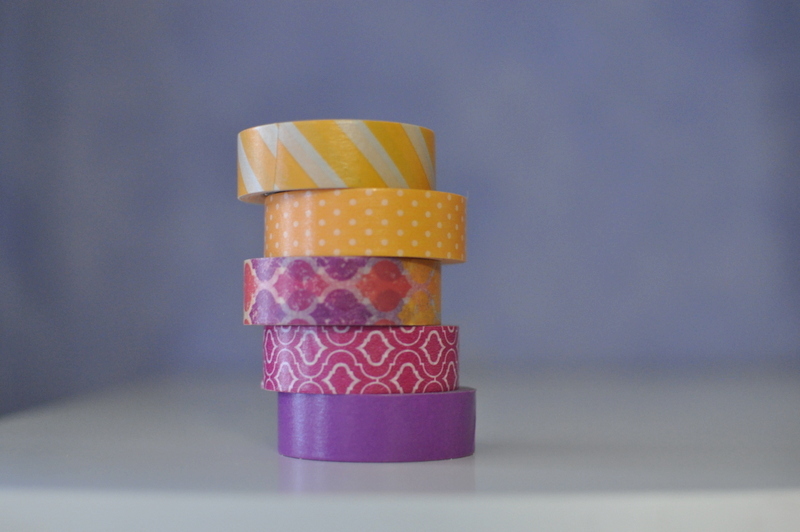 It’s fabulous stuff, and what I like most about this tape is you can make simple things look funky and fun! 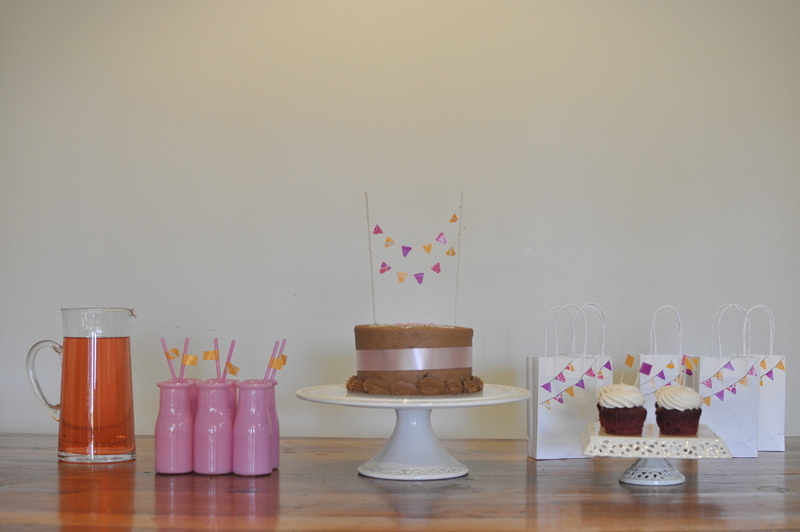 This time, I’m sharing how to theme a pre-teen or teen birthday party. 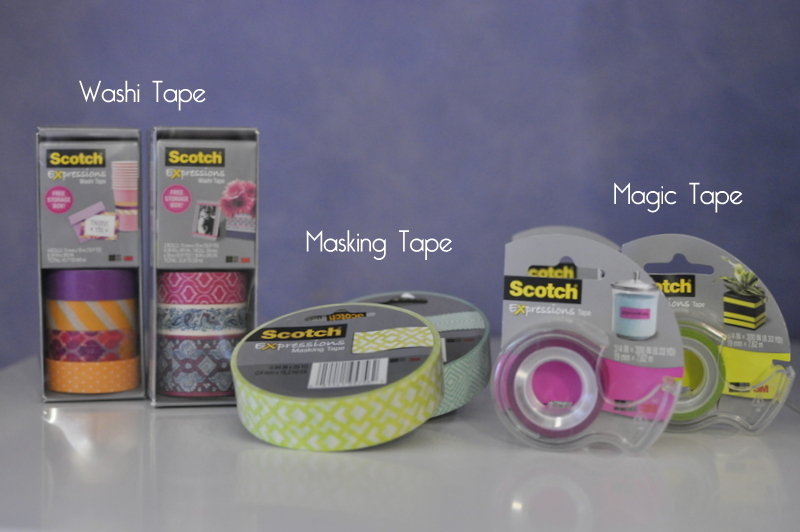 The first thing is to pick a colour scheme from the large range of Scotch® Expressions Washi Tape, Scotch® Expressions Magic Tape or Scotch® Expressions Masking Tape. Pictured below is a selection of the available colours. The tape is easy to work with so you can position and reposition if you need to. I recommend picking 2-3 colours (but you can do whatever you like!). Adding different patterns provides interest, which always looks great. I went with a colour pallet of orange, pink and purple. 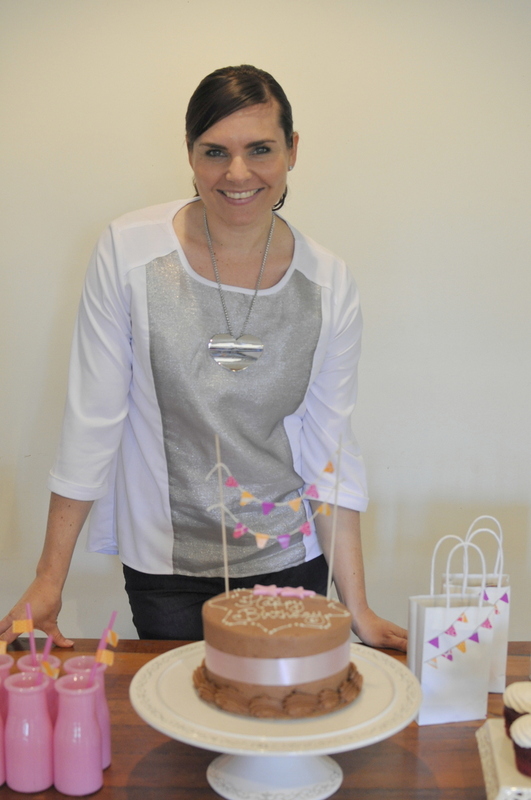 The cake is the centre of the party and bunting is an easy way to take a cake from lovely to absolutely gorgeous! 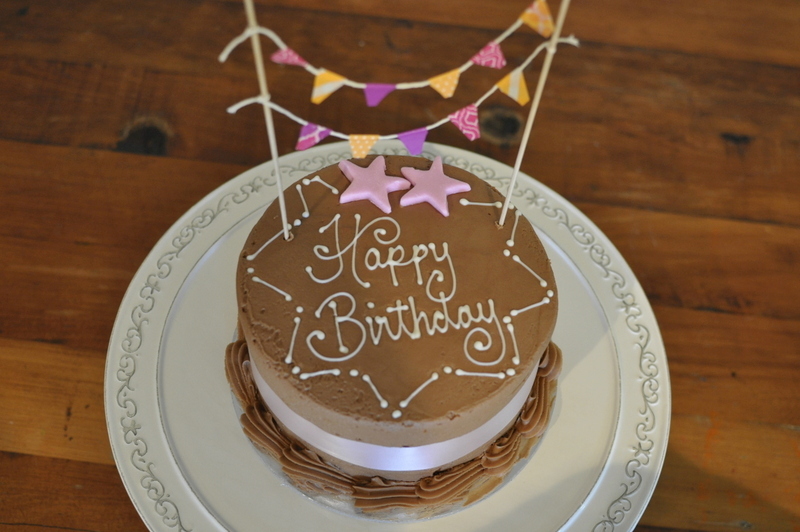 For full instructions and more pictures, click here: Washi Tape Cake Bunting. Check out in this video to see just how easy it is! 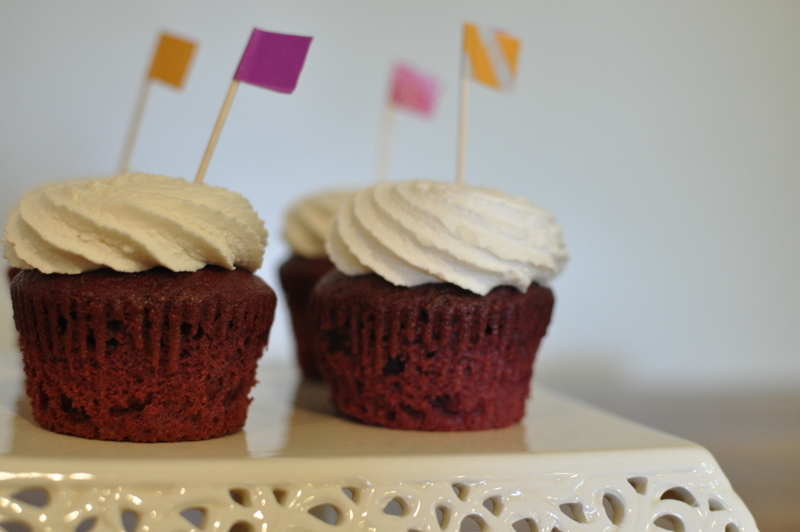 Add a special touch to the cupcakes, fruit platters and other finger food. You can make these flags in different shapes. 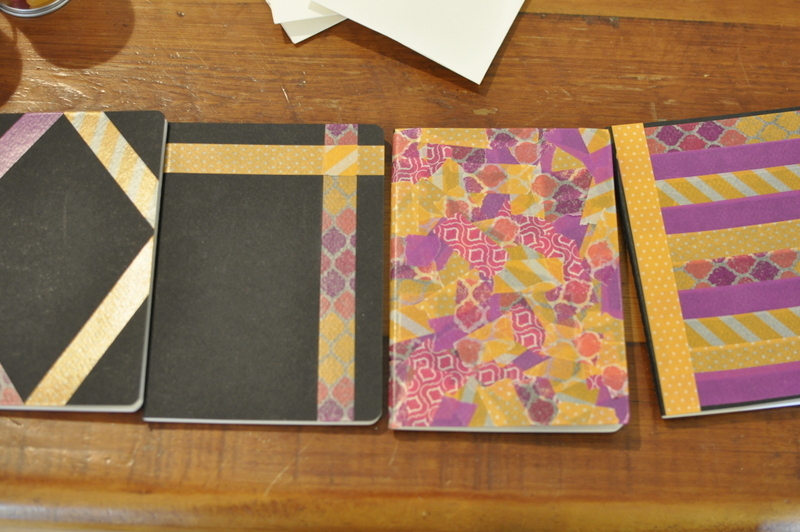 I went with a simple rectangle but I’ve made them in different shapes before. 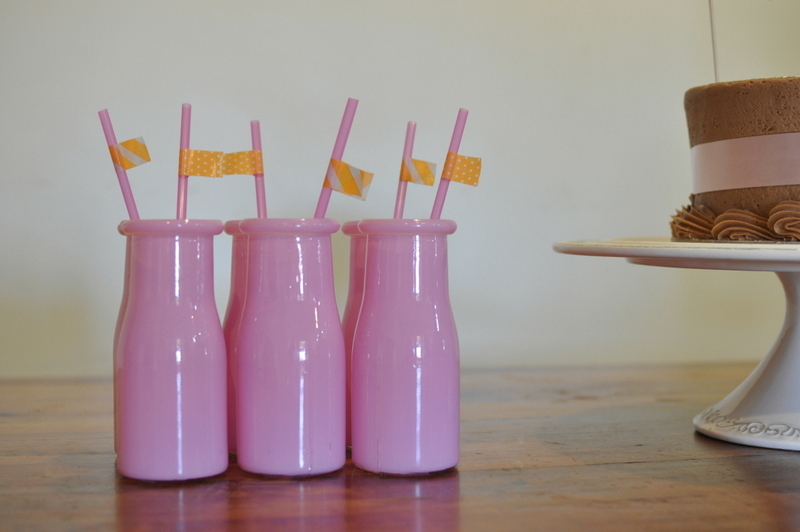 Straw flags are uber-easy and add a bit of fun to the party drinks. 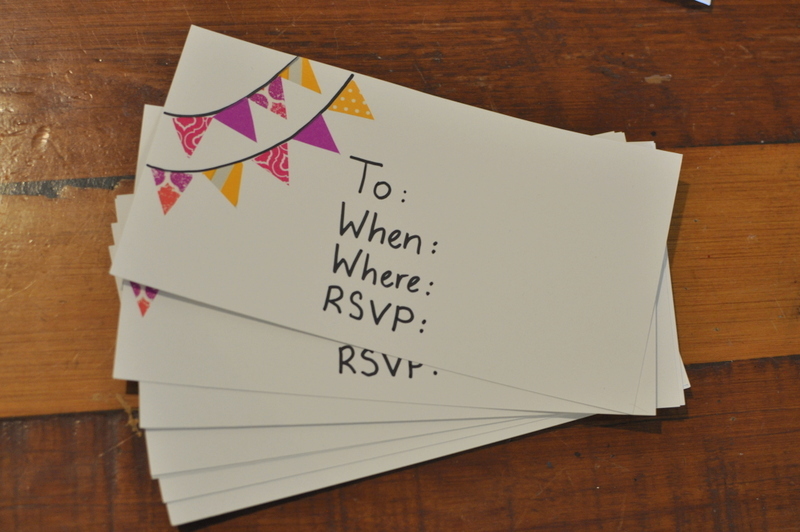 Introduce the bunting theme into these gorgeous and easy invitations. A few wrapped goodies on the table adds to the festive vibe. Something special for the guests to take home. 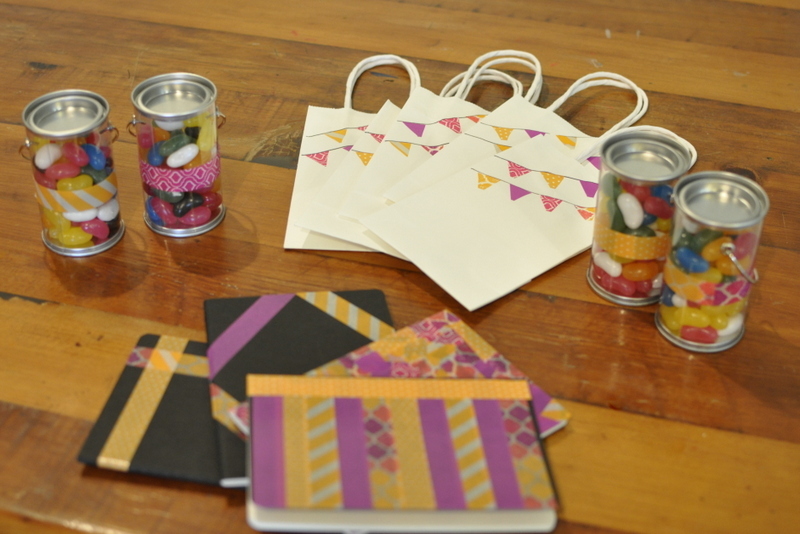 A simple craft is a fun icebreaker to start off a party as guests arrive. 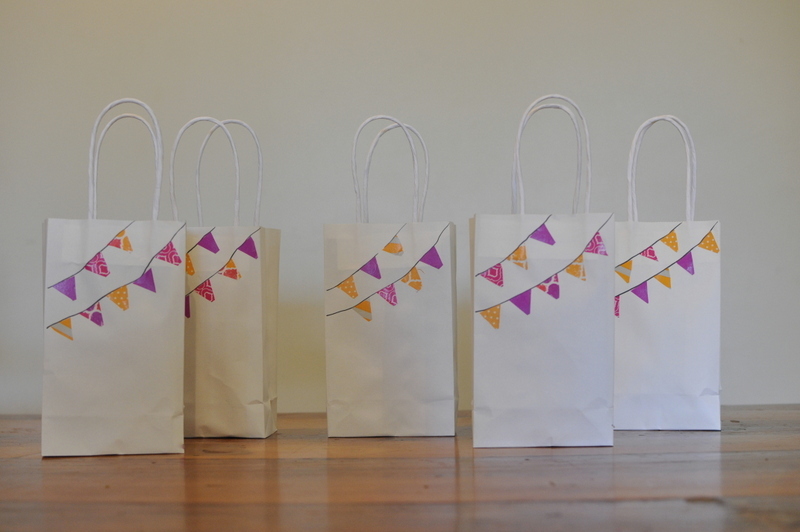 Children can take the craft home as part of their loot bags. 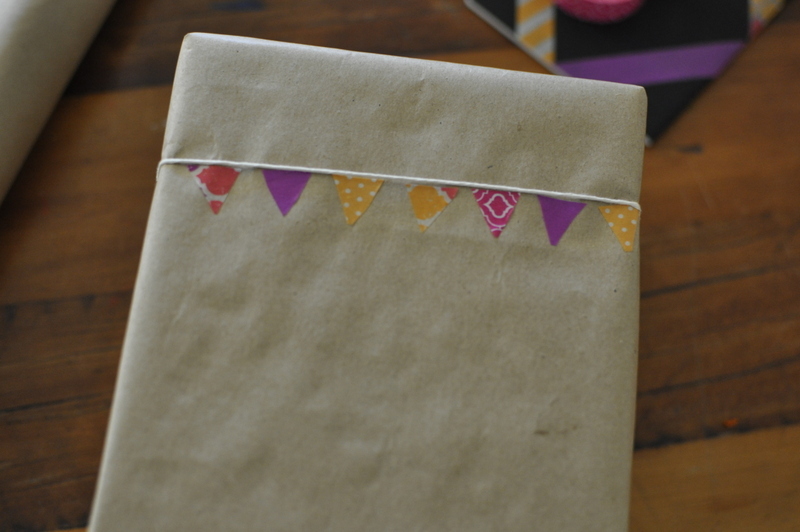 Kids can decorate the books however they like! 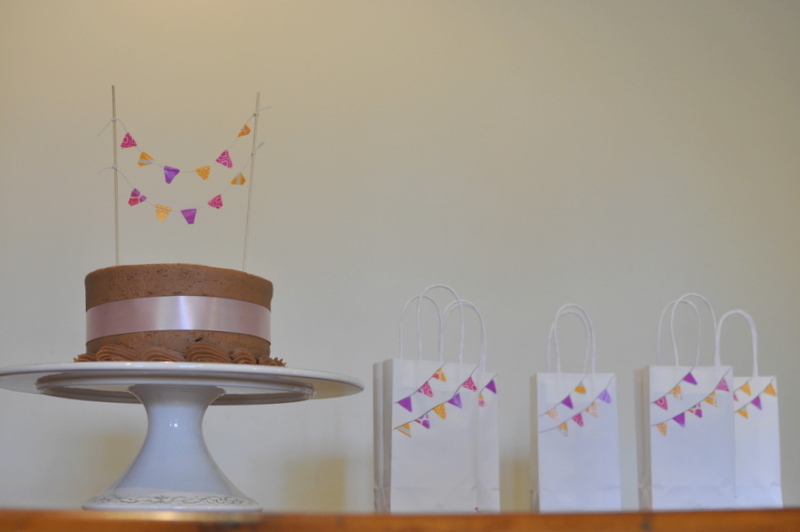 You can even use decorative tape to decorate your party favours. 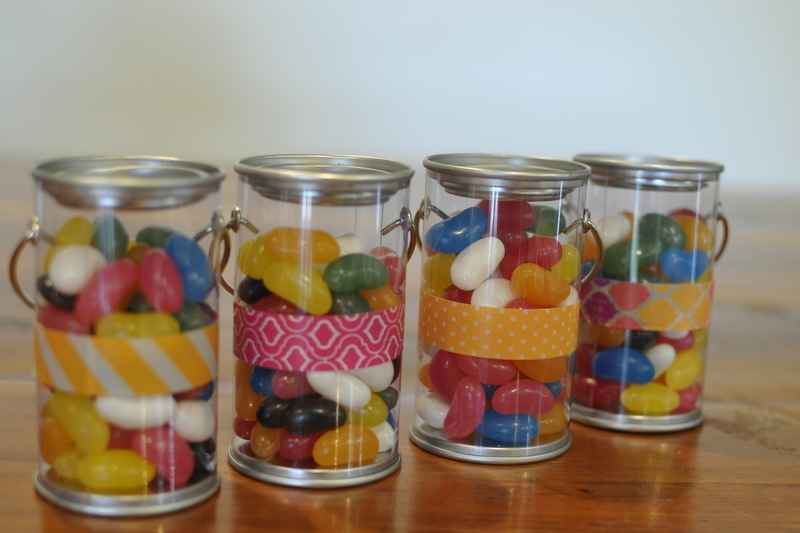 I used little plastic cylinders and decorated them with tape so they matched with the theme of the party. 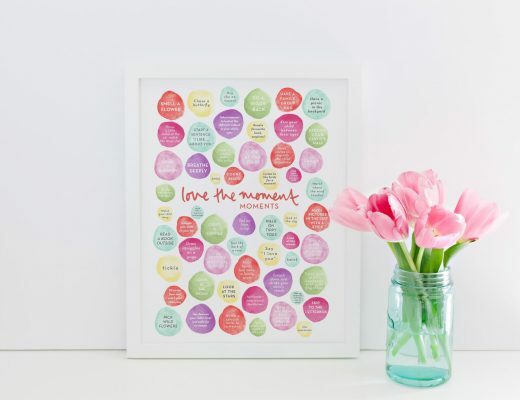 These decoration ideas are easy to make and kids can pitch in and help. It’s all part of the fun. 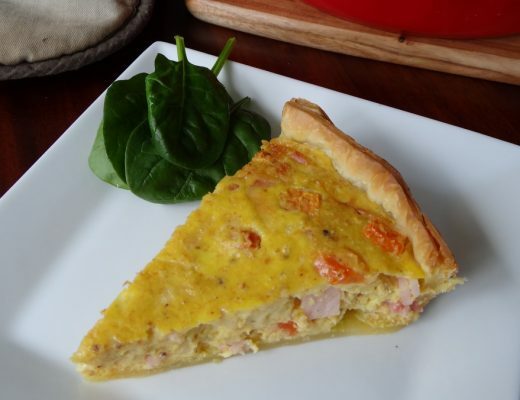 Re-pin these ideas for later here.